HAPPY FRIDAY! Yes, I yelled that because I am so happy that this week is finally over! I just have a quick nail of the day post to show you today. I received this as a gift from my bestie a couple years ago and it's one of my favorite polishes - I can't believe I've never posted it before! 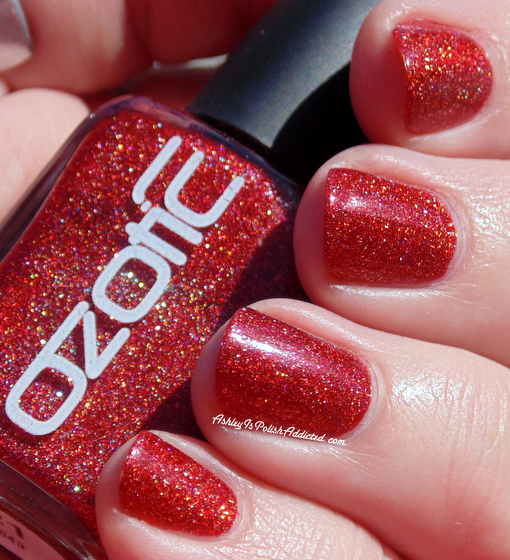 Ozotic 621 is a gorgeous rich red crelly with holographic particles throughout. This polish just GLOWS! 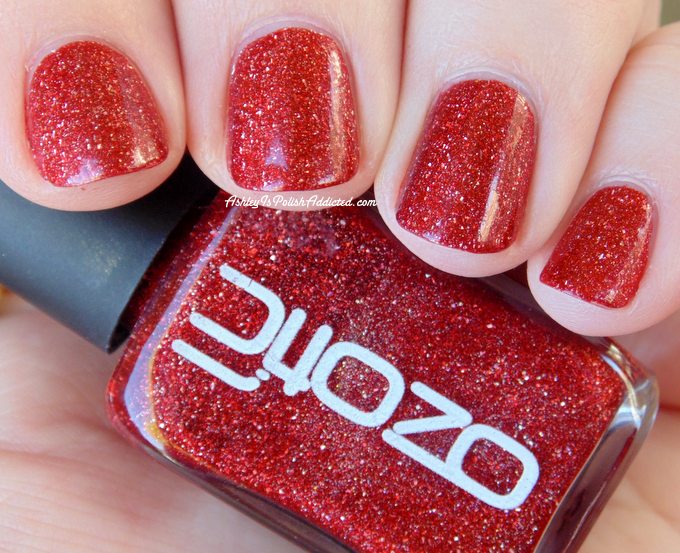 And it is perfectly smooth to the touch, not like a typical glitter. My top coat did dull it a bit so I added one more coat of 621. It is opaque in 2 coats but this is 3 coats with no top coat. 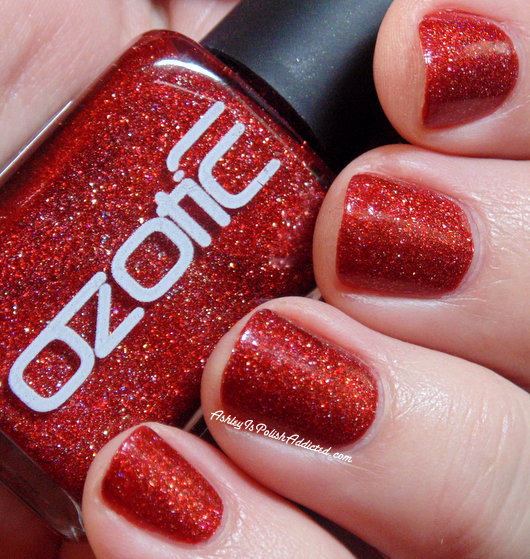 Ozotic is no longer being made but they were a sister company to piCture pOlish. 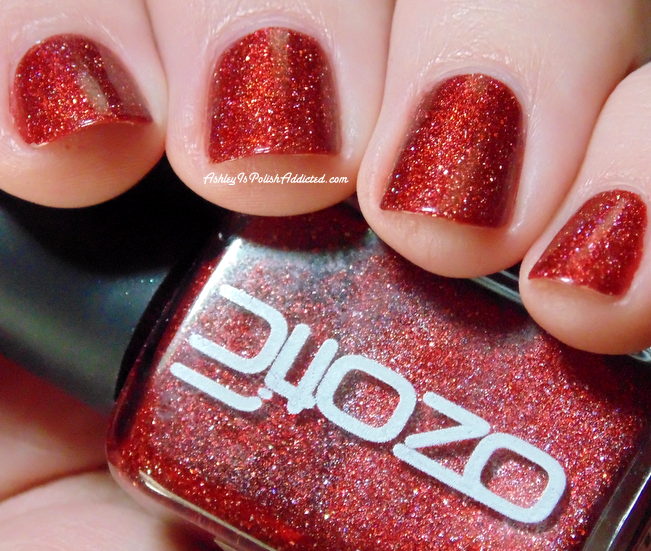 piCture pOlish Bridget is supposed to be the same polish as Ozotic 621. I don't have it (yet), but from the photos I've seen it does look the same! One of my favourites too. 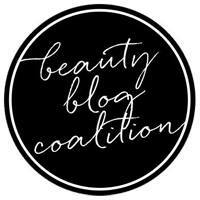 It was one of my first blog posts. 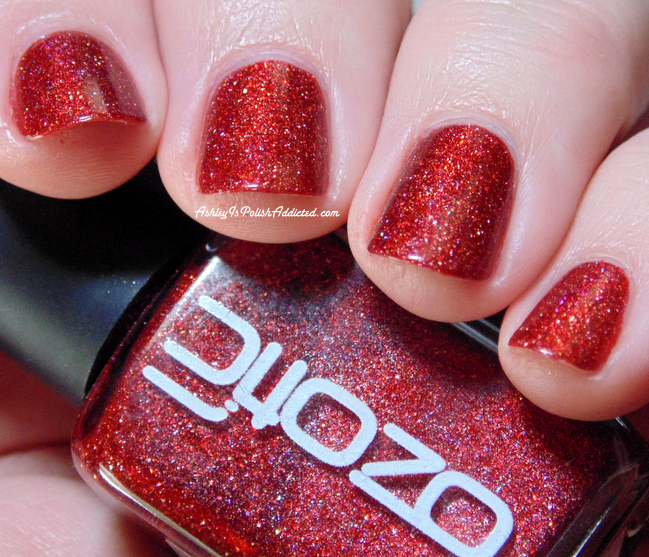 Ozotic 621 is still one of my favourite red holos and I perfectly understand what you mean when you say it glows!